However, it is not easy to find a camouflage pattern which allows you to blend in and remain unseen when you are stalking fish on the mudflats. Essentially flats are a featureless desert and the distance to background cover can in many cases be several hundred metres. In my search to find something which would help me blend into the sand flats and mud dusted rocks I stumbled upon the Sitka OPTIFADE™ clothing range. The Open Country pattern in particular looked promising as the colours seemed to match sand, shell and mud fairly well. OPTIFADE™ is a camouflage fabric invented by GORE and they claim that “OPTIFADE™ Concealment is the first concealment system designed around animal vision and not human eyesight. Unlike mimicry camouflage, GORE™ OPTIFADE™ Concealment prevents your prey from recognizing you as a predator – even if detected – making you NOTHING in their eyes. Stalking predators, like tigers, have a macro pattern of stripes that break up their body symmetry as they chase prey. Ambush predators, like spotted leopards, utilize micro patterns that enable them to blend into the background while poised to attack. GORE™ OPTIFADE™ Concealment incorporates the micro and macro patterns of the animal kingdom to help make hunters unrecognizable as predators, even when detected. The Open Country pattern uses the larger neutral areas of the pattern-the macro-pattern-more critical to concealment at greater engagement ranges. The only question that needed to be answered is whether fish also found it hard to spot an angler clad in OPTIFADE. I purchased two pieces of clothing namely the Stormfront jacket and the Jetstream vest. The Stormfront jacket is a light waterproof uninsulated shell designed to wind and moisture whereas the Jetstream vest is a windproof core insulator that can be worn on its own in mild conditions or under the Stormfront jacket when the weather turns cold and gnarly. Neither item is remotely cheap but both ooze quality. In the warmer months I tended to wear the Jetstream vest over a thin long sleeved, base layer. The base layer had a high UPF rating to prevent sunburn. Inevitably in NZ there is always a breeze so more often than not the vest was kept zipped up to keep the inner core warm. The Stormfront jacket was always in my backpack so that it could be thrown over the top quickly if rain is imminent or the weather comes in really cold. I’d also often wear the Stormfront jacket unzipped on its own over a long sleeved tee shirt when fishing at dawn over summer. You can see this in the featured image. As I mentioned earlier the Stormfront Jacket is an un-insulated shell designed to be worn as an outer layer, as part of a cold and wet weather layering system. It is designed to be worn for days on end in harsh environments if needed and it adds little bulk and minimal weight to your pack when carrying it. The jacket has a long collar, tail, water sealing cuffs and large chest pockets. The hood folds away and can be adjusted from the sides and back to ensure that it fits snugly over a cap when it is windy or raining heavily. Constructed with a highly breathable GORE-TEX® laminate, the Stormfront jacket is built to withstand extended periods of severely wet weather. I only got to test the jackets waterproofness during several heavy thunderstorms and it was excellent. No sign of water ingress thanks to the micro-taped and laser cut seams. There are a couple of other features which proved particularly handy namely the zips under the armpits to help control temperature and perspiration (in addition to the breathable fabric) and how quickly it dried off when the rain ceased. I never felt cold when wearing the jacket over a light layer in summer irrespective of how hard the breeze was gusting. The only thing which was not ideally suited to fly fishing was the Velcro cuff tabs. If they weren’t done up properly then the tab occasionally grabbed the fly line as the tab end it faced up but this was not an issue when the tabs were cinched tightly. Did wearing the jacket make it harder for the fish to spot me? I believe the answer to this is an unequivocal yes as while I’ve been wearing it some very interesting things have happened. I regularly see baitfish swimming to within a rod length and on two separate occasions these baitfish have been attacked by kingfish over 1 metre long and I’ve been showered in spray in the ensuing carnage. I’ve also regularly had stingrays and kingfish cruise past, often almost within touching distance, whereas skilled colleagues who are fishing 25 metres away often see nothing. I’ve lost count of the times that I’ve been standing motionless on the shore and had kingfish cruise directly at me shadowing a large ray. There is no doubt that I am seeing many more fish up close than I ever used to before. I’m picking this is probably due to what I am wearing and the effectiveness of the OPTIFADE pattern. Overall performance rating: 9.5 out of 10. Cut from the same fabric as the Jetstream Jacket, the Jetstream Vest is designed to be used as a core insulator under an outer jacket when the temperatures plummet, or as an outer layer in more mild conditions. 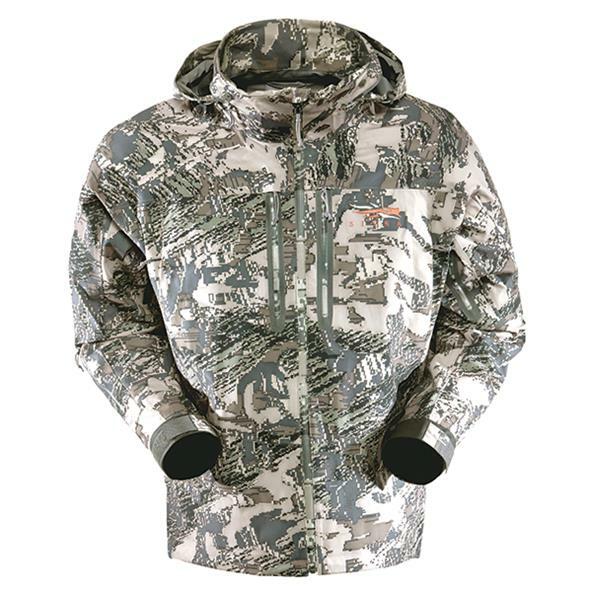 Sitka claim that the “GORE® WINDSTOPPER® Softshell fabric is 100% windproof, minimizing the effects of windchill. Yet it expels perspiration to form a microclimate around your core that is both warm and dry. Lightly insulated with moisture wicking Micro Grid fleece, the Jetstream Vest is athletically cut to fit your form and eliminate bulk. The highly durable 4-way stretch polyester weave moves with you as you bend and pivot. Two zippered hand pockets and a zippered chest pocket cache the necessities like your rangefinder and GPS unit”. I am a real fan of zip up vests for fishing as it is so easy to adjust the zip to control core temperature. Mostly in summer I wore the vest unzipped but when a cold breeze sprang up, generally from the south, it was easy to zip the Jetstream vest up completely and keep my core warm. The athletic cut helps in this regard and there is enough fabric stretch to cover those who are carrying a touch of “midriff condition”. The arm holes seemed to be tight enough to prevent air whistling inside the vest which was a real bonus. It is double stitched throughout with quality YKK componentry. Despite a heavy workload the vest is wearing very well and still looks new. 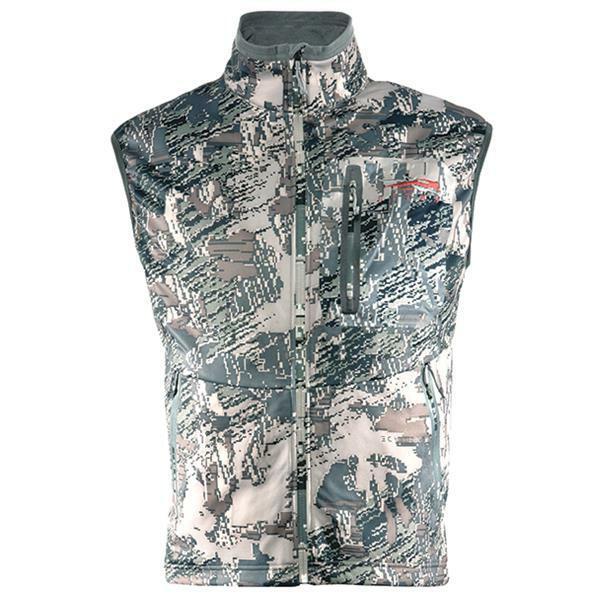 The comments above regarding the OPTIFADE fabric and camouflage also hold true for the vest. I’m struggling to find any major negatives to write about the vest which reflects how well made it is and how well it suits my body shape. The only thing that could be improved is to reinforce the fabric on the welded chest pocket to make it slightly more robust. At present, it seems thin and does not hold its shape that well. It is perfectly functional but if it were reinforced then it would make the vest perfect. I couldn’t be happier with the Sitka OPTIFADE layering system, even though it is primarily designed for hunting. I’m convinced that it has helped me land wary fish that would have normally stayed outside casting range, especially when fly fishing. Definitely worth a look.